In a new initiative, UK-based PC systems maker and retailer Scan 3XS is providing remote access to Nvidia DGX-1 Deep Learning Supercomputers. To allow customers to decide whether the significant investment involved in acquiring a DGX-1 is for them, Scan has begun a DGX-1 Proof of Concept program to allow end users to run custom data processing tests on one of its own deep learning machines. 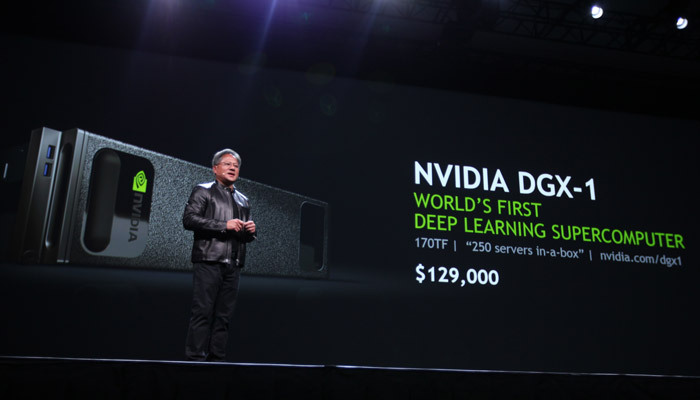 As a reminder, the Nvidia DGX-1 is headlined as 'The World's First AI Supercomputer' by Nvidia. This compact 3U 19in rackmount purpose-built system, made for deep learning and AI accelerated analytics, is said to provide performance equivalent to 250 conventional servers. If you have access to a DGX-1 you get fully integrated hardware, deep learning software, development tools, and the ability to run popular accelerated analytics applications. 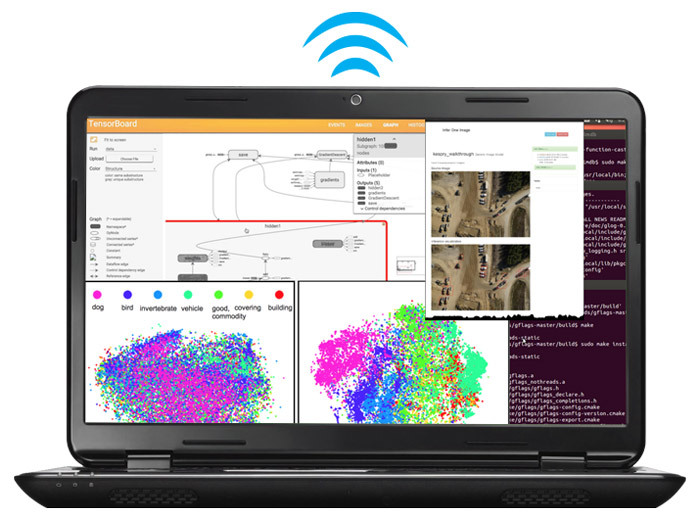 With such a system "you can immediately shorten data processing time, visualize more data, accelerate deep learning frameworks, and design more sophisticated neural networks," says Nvidia. At its heart the DGX-1 is based around 8x Nvidia Tesla P100 GPU accelerators based upon Nvidia's newest Pascal architecture. This array of processors provides 28,672 CUDA cores for super-fast processing. Accompanying each P100 is 16GB next-gen HBM2 memory. Meanwhile the system uses 2x Intel Xeon E5 2698 v4, 20 cores 2.2GHz, and 512GB of DDR4 RAM. The Nvidia DGX-1 runs Ubuntu Server, includes 4x 1.92TB SSD storage in RAID 0 configuration, and is kitted out with dual 10GbE networking. Scan's Proof of Concept DGX-1 system is hosted in a secure data centre and the company will provide validated potential customers with remote access to the server so they can evaluate and benchmark it. As they test customers will be supported by Scan engineers 24/7. At the end of the trials, if users find that the DGX-1 isn't right for them Scan can recommend and design bespoke deep learning solutions using Nvidia Tesla or TITAN X GPUs. If you are interested an Nvidia DGX-1 Proof of Concept trial please fill in the PDF form linked to at the bottom of Scan's information page. Do Scan own the server or has NvEVIL (Artech articule) given it to them to showcase? Nvidia DGX-1 runs Ubuntu Server interesting so NO Percy it wont run Crysis :PP - Goes the DGX-1 use Nvlink ? … Goes the DGX-1 use Nvlink ? Assuming you mean “Does” rather than “Goes” - the 8 P100 cards have coherent access to each other's memory via NVLink, but as the server is Xeon based the link between the P100 cluster and the rest of the system is PCIe only. AFAIK no CPU currently supports NVLink, and the first one that will is Power-based, rather than x86.